"Why would Mr. Harper want to end this seemingly-profitable relationship, through a lethal attack on the CBC's funding? The Conservatives lost their chance at a majority in 2006 over cuts to the arts (and have remained almost Liberal-like in their irrelevance in Quebec ever since). I think the answer is a philosophic one. 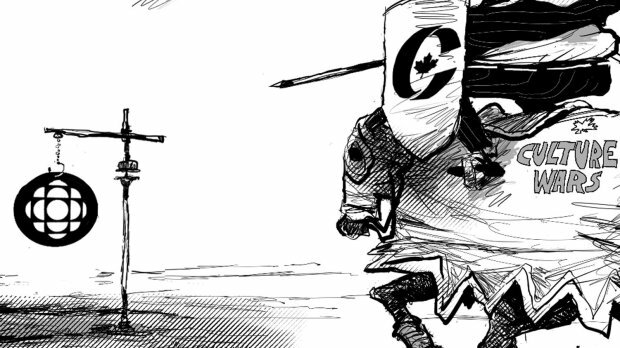 The Conservatives just plain disdain Canada's arts and its culture. They are, it would seem, therefore spoiling to return to the file and to pick up where they left off in 2006"
This Hour Has 7 Days. It's been more or less the same ever since those wonderful days of This Hour . . .
Tony, Tony, Tony .... You're Toast!